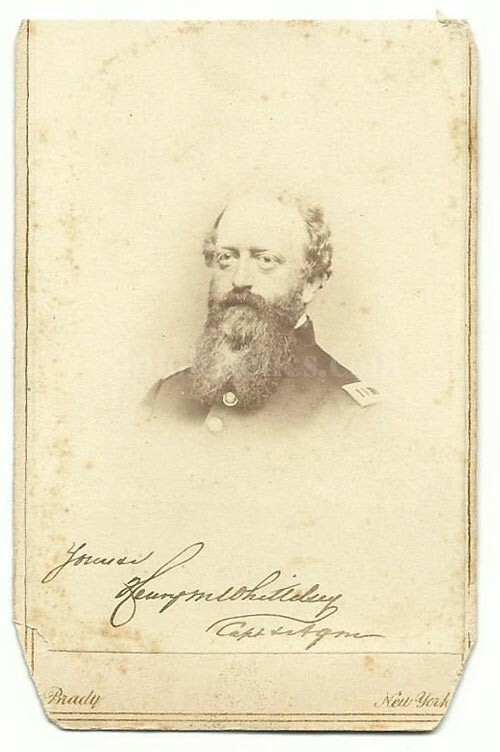 This is an original Civil War era CDV image of Civil War Brevet Brigadier General Henry Martyn Whittelsey (1821-1873). Whittelsey served as the quartermaster for troops for the state of Michigan. He also served on the staff of Brigadier General Alpheus Williams. He received his brevet on March 13, 1865. For his service during the war. 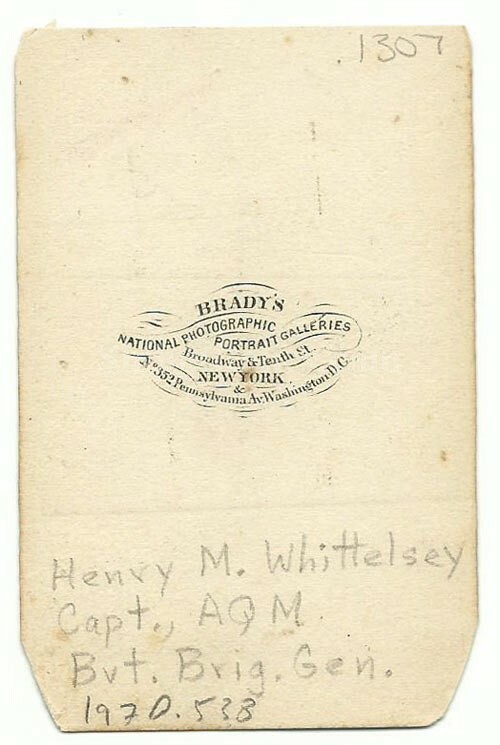 The back of the card has the New York photography studio Mark of the famous firm of Matthew Brady. The image shows the General in his uniform with his captain insignia showing on his shoulder. One thing that is nice about this image is that he signed it along the bottom. The CDV images were made by applying a thin paper photo image of the famous person of the day to a heavier paper card. This made the image more durable and easier to display and also added uniformity to the size. The overall size of a CDV image is approximately 2.5 inches by 4 inches in size. This is a solid original Civil War Union CDV image.